Changing the air filters in your home air conditioning units is the least expensive thing you can do to maintain your cooling system. Dirt and air pollutants can damage your health and damage the equipment requiring expensive repair or replacement of the system. Follow these simple steps to change your air conditioner filter. 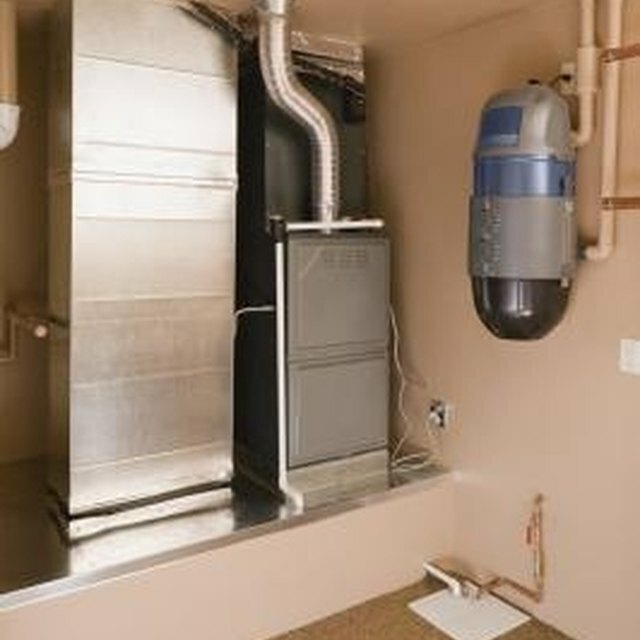 Locate your furnace and the filter compartment. This compartment is normally covered by a strip of metal that slides in and out of place. Determine the size of the air filter that needs to be replaced. The sizes are noted on the side and usually appear as 16x24 inches and other similar sizes. Purchase a replacement filter in the size required for your system. There are a variety of filters to choose ranging from the inexpensive standard spun glass filters to pricier synthetic polyester fibers. Consider high efficiency filters if you live in warmer, dustier climates as they do more than just capture dust particles. The high efficiency filters can trap tiny particles of dust, pollen, mold and other irritants. Look at hepa filters and filters coated with chemicals to kill bacteria if allergies and other irritants are a concern for your family, . Use a black permanent marker when you change the filter. When you slide up the metal guard, note the direction of the air flow marked on the side of the old filter and draw arrows in the same direction on the metal guard. This way you will have no question which direction to insert the new filter. Replace high efficiency filters at least 4 times per year. Read the manufacturer's label as most recommend changing your air filter on a monthly basis. (High efficiency filters do have a longer life expectancy than the less expensive spun-fiber filters. Get on a routine, and change your filter every month when you receive your utility bill. This will help you to not forget! Washable filters are available and friendlier to the environment, but they require more effort to maintain. Regular replacement of filters will help keep your energy costs down. Purchase 12 filters at a time, so they are available when you need them. Filters are rated with an efficiency score of one to 16. The higher the score, the higher the filtration. Use only the recommended sized filter for your unit.